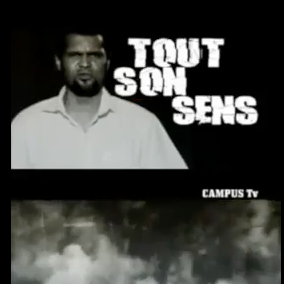 The sixth edition of the Festival International de Slam et Humour (FISH) Mali kicked off yesterday in Bamako, Mali with an opening ceremony and a competition launch. The organisation behind the festival, Maison Agoratoire, has invited participants from 16 African countries to take part in the week-long program which ends on Saturday 23 March. This year’s theme is gender and social inclusion. 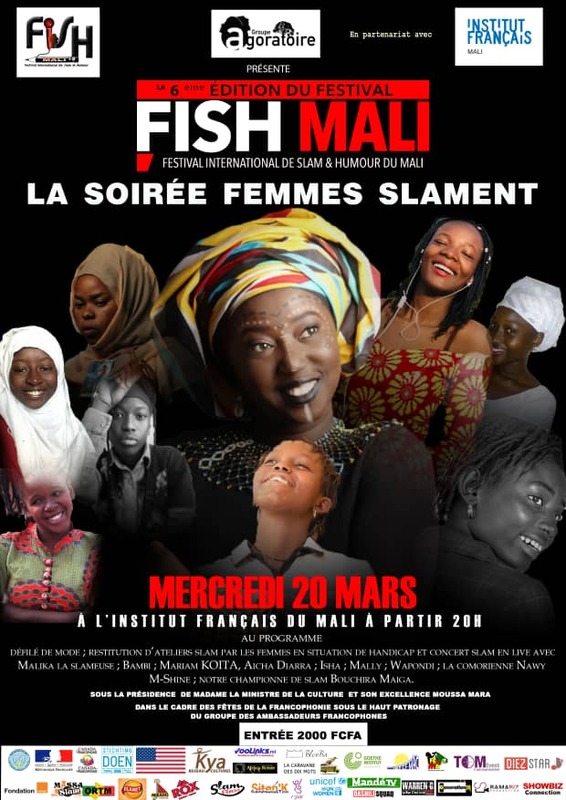 As in previous editions, FISH Mali presents a wide range of concerts, workshops, discussions and competitions in venues across Bamako, including the Institut français du Mali, the Cité des Enfants, Blonba and Maison Agoratoire in Lafiabougou. Among the many highlights on the programme are the Soirée Femmes Slament (female slam evening) at the Institut français on Wednesday, and the Slam & Humour concert on Friday with performers from Burkina Faso, Ivory Coast, Togo, Guinée Conakry and Mali. Download the flyer with the program here (PDF). For those unable to attend, there’s our photo report on the 2018 edition of FISH Mali.